It is finally warming up and soon it will be time to head to the beach and pool. Romance novels are great for escaping life while lounging in the sun. 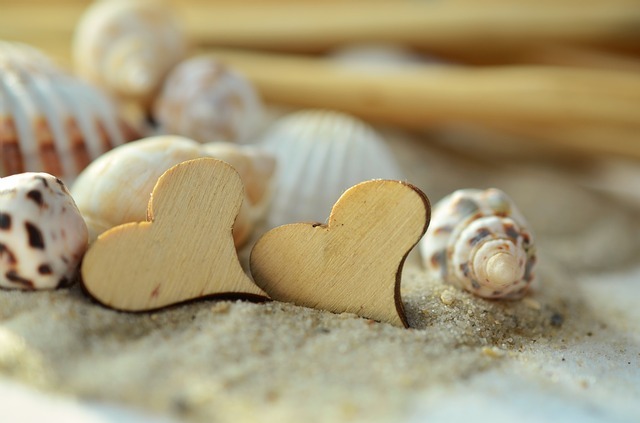 Whether you prefer humor, fantasy, historical, suspense, or just straight up romance, I have 7 novels for you to consider packing in your beach bag. Cynthia is almost sixty years old and is starting to get more excitement in her life. She has a lover originally from Nigeria and decides to get online to talk to talk to him when she has to go home to help with a family emergency. Once she realizes she was scammed, she is determined to hunt down the thieves and get her life savings back. There are times where I really didn't like Cynthia, even though we're clearly supposed to identify with her. She can steamroll over others' wants and needs; she named her boyfriend Darius because she couldn't pronounce his actual name! It actually isn't out of character for her to reply to an e-mail scam, given how flighty she was in the past, and that's an amazing feat to pull off. Cynthia does have moments where she is kind and thoughtful and capable of planning ahead, such as when kidnapped while she is in Nigeria. Her companion is unlikable even at her best, which makes Cynthia seem even better by comparison. It felt as if much of the kidnapping and antics were played too much for laughs, as there wasn't any sense of terror. Both reacted as if merely inconvenienced, and I didn't like the emotional disconnect. There are some humorous parts to the novel, but overall I couldn't connect well with this brand of humor. A popular novelist, Trask Sinclair is soon drawn into a complicated plot of his own when he saves the psychic Allys Joel. A Wall Street firm is after her, and he has to help her get to Mystic, Wyoming. It's a difficult journey for them, especially with the firm's agent following them. 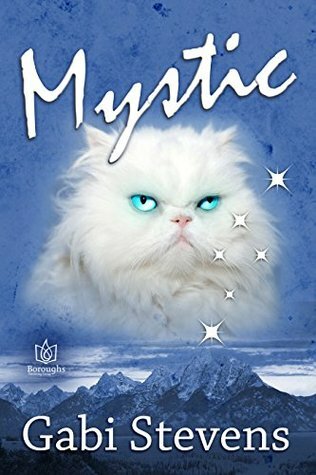 This is a fun story that blends romance with psychic phenomena. The action is fast-paced, and Allys is likable. Trask is definitely our entry point character for the psychic phenomena, and he probably reacts to the talking cat the same way that we would. If you accept the fact that Allys is psychic from the first, learning about a person's future through skin to skin contact, a lot of the other fantasy elements roll through without too much difficulty. Aside from the paranormal elements, it's a cute romance where Trask tries to save Allys, and they get to know each other over the next two weeks on the run. I was almost disappointed at the end of the story, because I wanted to see more of Allys and Trask's future, and know more about the other characters mentioned throughout the book. Bella went from having an uneventful, go-nowhere life to having superpowers. While she figures that she can use them to make headlines and finally get off the inane stories she has to write for her local newspaper, it attracts the wrong kind of attention. 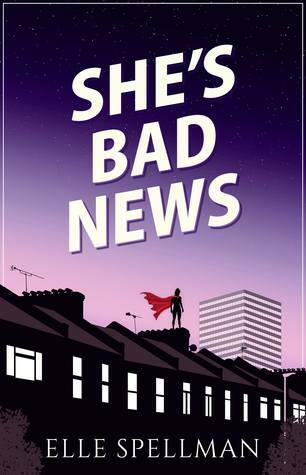 The paper's crime reporter is trying to unmask the town's new vigilante, and she is hoping to discover the origins of her powers. Bella is charming and likable from the very start of this novel. 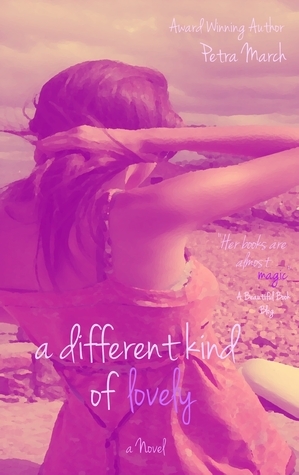 She has a few good friends, interesting coworkers, and a cast of characters in a small town that very much reminds me of Sophie Kinsella novels. The town is full of quirky characters and petty criminals, and Bella really does have good investigative instincts. She tracks down the source of her powers, which are pretty much like Captain America's -- it sharpens her poor vision and hearing, gives her strength and speed at the pinnacle of human ability. It doesn't change who she is, so she does the selfish thing as well as the helpful thing. Ultimately, Bella has a good heart, and the story really bears it out. The novel is well polished, so I was surprised that this is Elle's first novel. I look forward to reading more of her novels. Mina Automne is a ballerina determined to create a dance studio out of her grandmother's old home. Neal Medwin wants to buy the home as a way to deal with his own losses, but Mina won't sell. Instead, she allows him to stay with her, and they grow close. Both have differences of opinion in dealing with stressful life events, so it's not a given that they will stay together. Mina seemed okay at first, but as she became so consumed with being "strong" and avoiding others while she dealt with her emotional and physical pain, I liked her less. Neal's family dealt with grief by buying their way out of things and situations or having Neal pick up after them all over the world. I understand the pull of family and need to help however possible, but it seemed far too easy for him to break promises and be just as self-absorbed as the family members he was frustrated with. I didn't feel very emotionally connected to either of them, so the back and forth in their relationship didn't draw me in. The way the novel is written is beautifully done. Petra March's way with language is very poetic and gives the scenery a sense of presence as much as the characters. At times, it feels almost like the literary equivalent of a pastoral painting. The emotions are shown and not just announced for the reader, which is often a tricky prospect to do. It almost makes me wish I cared as much about these characters as the author does because they're well rendered. September 2017; The Wild Rose Press, Inc.
Former model Lacey Reed is trying to gather enough courage to face the sexual predator that is blackmailing her, as she fears it would ruin her father's chances at getting a job in the US government. 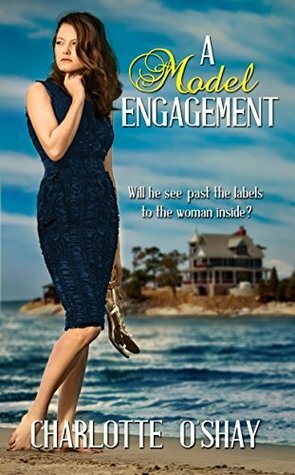 She literally runs into Connor Devlin, who hires her on as his fake fiancee so that she could help take care of his mother, who is slowly going blind. This is the second book in The City of Dreams series but can be read as a standalone book. The majority of the beginning is spent with setting up the fake relationship trope. Lacey and Connor get along very well, adding to the "will they or won't they" part of the trope that's fun to read about. Each has their own priorities and concerns, and we also see into their histories to see how well matched they really are. He and his family get along well, and they welcome Lacey without reservation. It adds to her guilt and gives a measure of secondhand embarrassment for the reader, but it also gives us insight into their characters. We're shown who they all truly are, and I really grew to like Lacey and Connor as people and not just as a couple. Lacey has a good network of friends that can support her when she finally reveals the assault. The assault itself that Lacey is so afraid of was under drugged circumstances and wasn't even described until about three-quarters of the way through this novel. The description itself isn't explicit or vividly done, and likely will remind readers of experiences they or people they know have lived through. It's such a common experience, unfortunately, but Lacey does have friends that emotionally support her and also have the resources to do something about it legally. In addition, the relationship with Connor is also juxtaposed with the assault, maybe not deliberately, but it's a wonderful contrast. He is patient and respects her boundaries, obviously valuing her friendship as well as her romantic feelings. 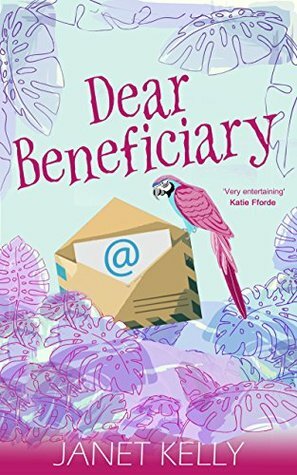 Overall, this is a fun contemporary romance that does deal with the emotional baggage in a respectful way. Emma Howard is loyal to Queen Mary after she had gotten assistance in a time of need and isn't being pressured to marry again. She sees more about Mary's relationship with Lord Darnley than she thinks she does, and on the night of an explosion, sees far more than she wanted to. She is saved by a printer, who is none other than Tristan, Queen Elizabeth's spy. This is the third "All the Queen's Spies" novel, so it does dovetail with the prior novels in the series. Some of the characters recur, but it's not entirely necessary to have read those first. Emma is strong-willed enough to have survived the abuses of her marriage and not want to repeat it. The frosty demeanor she can display at times is the shield she crafted, and Tristan cuts through that immediately. Circumstances bring them together, and both try to prolong them. They've only known each other a few days, but it's a very intense few days and they genuinely care about one another. It comes across in every scene they have together, and in how much they want to protect each other from the turmoil in Edinburgh. 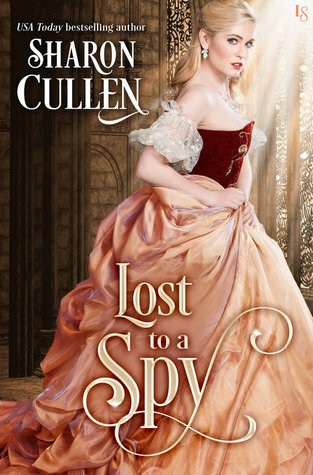 This is a great entry in the series, and a lovely historical romance. Adam Fairfax, the Duke of Sunningford, is known as a dissolute man in London. This makes it difficult to understand why he would be made the guardian of his late cousin's twin seven-year-old daughters, who come with their governess Isabel Finch in tow. His decadent lifestyle is upended, especially when he's drawn to the governess as well. This is a Rebellious Brides book, but it's not necessary to have read others in the series. And really, with a title like this, it's not difficult to know what you're going to get out of this book! As much as it sounds like this is a frivolous story, beneath the common trope is actually a lot of emotion and even a bit of a history lesson. Adam's excessive drinking and womanizing grew out of his loneliness and lack of emotional connection with others growing up, and Isabel's reluctance to get close to anyone but the girls is borne out of her own personal tragedy. Of course, the two of them find things in common besides the girls, but a friendship actually develops before the physical aspect occurs. Adam opens up to Isabel, and she learns not to fear her own needs. The dramatic turn that leads to the inevitable happily ever after was rather suddenly placed, even though there are certainly enough hints that it was coming. Or maybe I was too caught up in how well they meshed with each other and how they started opening up with their friends as well.